My name is Camilla Kim and I created the Three Happy Coconuts Sleep Collection. I'm the second generation daughter of a family that produces mattresses using all natural fibers since 1996. My father taught us to value nature, and believe in pursuing a natural lifestyle. My collection of plush mattresses, pillow toppers and pillows represents our company's key values: family, comfort, and safety in the certified organic materials. All these products were created out of concern for my two daughters' health, and belief that they should not be at risk while sleeping--the most precious moment of their day. 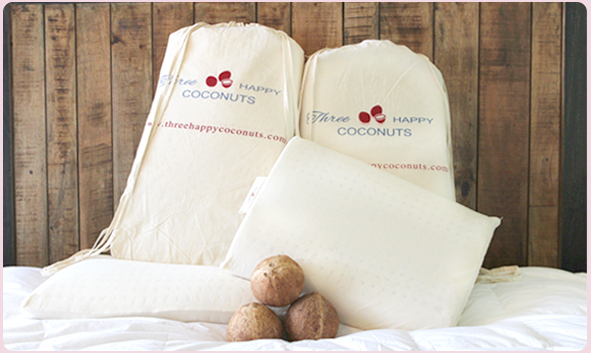 Three Happy Coconuts uses certified organic materials throughout, not just in the exterior components. This means our cotton, wool, natural latex and coconut fibers each have certifications, plus involve sustainable production. And we do not use any synthetic materials, so there is nothing to fear in regards to toxicity, or metal springs emitting electro magnetic fields. We stand by our values and invite you to experience truly blissful sleep! 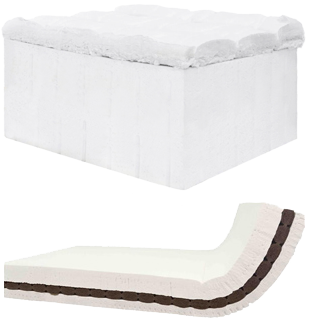 We have two exceptional mattresses for kids and adults, which are available in standard and custom sizes, an adjustable bed mattress, a crib mattress for newborns, and one pillow topper. Our mattresses are made of certified-organic coconut fibers (coir) and natural latex, materials which are naturally anti-microbial and bug-resistant, so you don't have to worry about bacteria, dust mites, germs, mold or other organisms growing inside them. So good bye to chemical spraying! 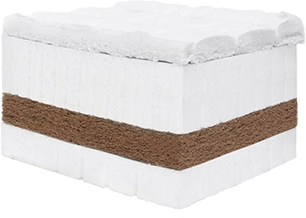 Heavenly Sandwich Bed (9") is our plush mattress made of two layers of organic latex (4" and 2") that "sandwich" one layer of coconut fiber (coir), with a 1" outer covering made of certified organic cotton with wool. The coconut fiber provides resilience and absorbs all the shocks, so kids can jump all day and the mattress will always retain its shape. We recommend adding the More Cream Please pillow topper for extra comfort. Vanilla Delight (7") is our plushest mattress, made for the most delicate of bodies and offers the softest possible comfort. It is flexible enough for an adjustable bed. It is made of one thick layer of pure organic latex (6") which is denser than a bath sponge, with a 1" outer covering made of certified organic cotton with wool. We include "ventilation hole" technology so that the body's weight distributes evenly across the latex so that it doesn't sink on this surface, but maintains the integrity of the spine so that it stays straight. Kids will ask, "Mom, am I sleeping on a cloud?" Caterpillar (9") is our only mattress made for adjustable beds, which features a flexible 2" ribbed coconut layer (coir) sandwiched in between 4" of organic latex, plus 2" of organic latex, which is flipable. It's great for people who toss and turn frequently, or roll around. They can sleep on the very plush side when needed, or the firm side when the body needs more support. Pure comfort and bliss in plush comfort. 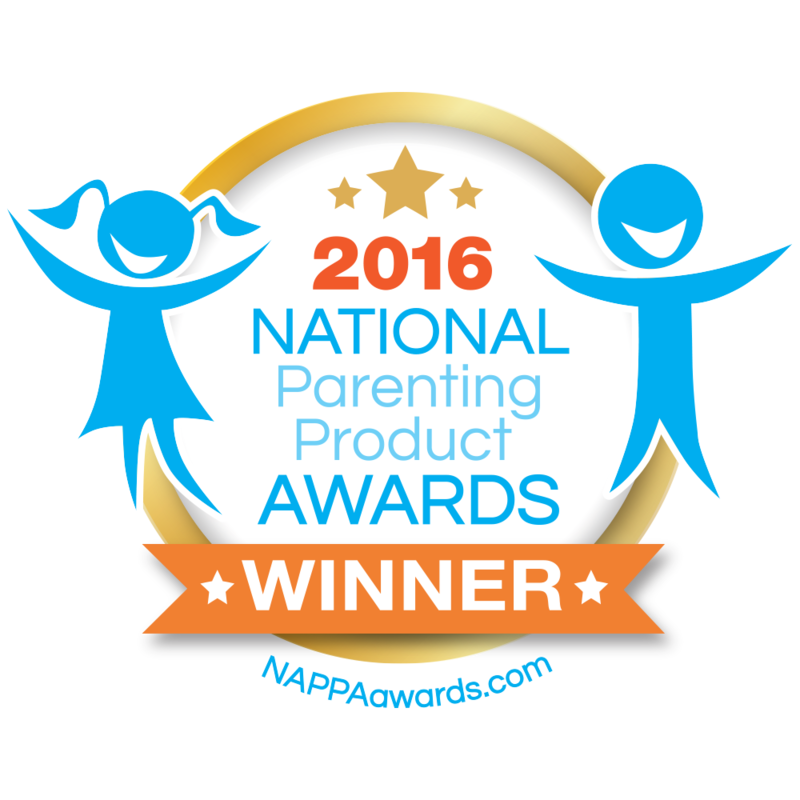 Coconut & Cream (5") is an elegant crib mattress designed for the newborn, and parents who want to rest assured knowing their baby is enjoying a healthy night's rest. It's made of one layer of pure organic latex and one layer of organic coconut fiber (coir), with a certified organic cotton and wool exterior cover. The combination of materials offers excellent ventilation, comfort and safety for the infant. Hypoallergenic and germ-resistant, this material does not retain heat and keeps the body cool. It's made for the tiniest of treasures!" More Cream Please (3") is our pure organic latex removable pillow topper, which sits on top of the mattress and adds additional fluffiness and plush-ness to the mattress. It increases mattress height by 3", while prolonging mattress life. 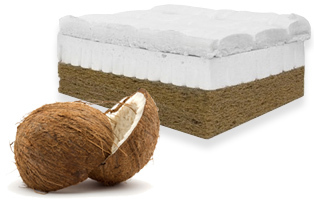 It is also available in pure coconut fiber (coir), which adds significant firmness. 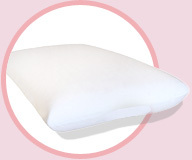 Happiness is our pure organic latex pillow that comes in a traditional pillow shape. 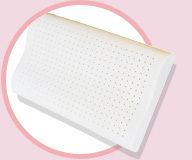 Delight is our pure organic latex pillow that contours the shape of the head and neck and cradles them tenderly. My daughters love Delight! Both pillows provide excellent head and neck support, while providing ventilation due to the strategic placement of air holes. Neither retains heat or moisture, so they remain cool and dry even in hot and humid environments. As mentioned, natural latex is anti-microbial, so you don't have to worry about bacteria, mold, germs, or dust mite issues. These hypoallergenic pillows are perfect for kids suffering from allergies, asthma, and anyone who needs a chemical-free alternative to traditional cotton or wool pillows. Both are available in standard and queen sizes.